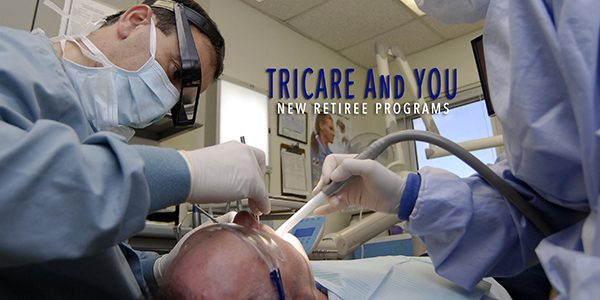 The current TRICARE Retiree Dental Program (TRDP) is ending! The TRDP will end on Dec. 31, 2018, however, retirees will have the opportunity to enroll in the U.S. Office of Personnel Management’s Federal Employee Dental and Vision Insurance Program (FEDVIP). Enrollment will take place during the 2018 open season, which runs from Nov. 12 through Dec. 10, 2018. Sign up to receive benefits on Jan. 1, 2019. Enrollment in the new plan is required if you want to remain covered. There are multiple coverage options to best fit your individual needs. The new dental plan will offer coverage options from 10 insurers, each providing at least two different levels of coverage: standard and high. The high level typically offers a greater range of services and lower co-pay amounts than the standard version, but comes with a higher monthly cost. Premiums are based on location and are comparable to the old plan. The premiums for both TRDP and FEDVIP are similar, so users may not experience a price jump depending on the plan they choose. TRICARE will now include vision coverage! Vision coverage is currently not part of the TRICARE program. Under FEDVIP, depending on your choice of coverage, you may be able to get glasses, contacts or both for free or for a discount. TRICARE will continue its current eye exam coverage system for those who do not enroll in the new vision plan. It’s not just for retirees! Retirees and active duty family members will be able to enroll in the FEDVIP vision insurance program. Multiple insurers are available. Currently, there are four different insurers available under FEDVIP. Monthly premiums range from $19 to $43. If you want to take advantage of the new vision plan, you must enroll during open season. During open season from Nov. 1 through Dec.10. You can make changes to your insurance each year during open season, or when you experience a qualifying life event such as a job change, move or birth of a child. If you plan on getting major dental work done, doing your homework now can potentially save you money. The new plan may be cheaper than the current plan, or vice versa. If you have children who need braces, some insurance plans under FEDVIP require you to be enrolled for 12 months before insurance will pay for orthodontic care. Check out the BENEFEDS/Tricare website for details on switching over or enrolling in the new plans. You can also check out the Office of Personnel Management’s Dental & Vision insurance page for plan costs and coverage.